If agents can’t provide the requested information, visitors will be referred to someone who can. This extends the information services all ready available to all residents of Edmonton. In addition, agents are trained to more directly meet the needs of new arrivals to our city. 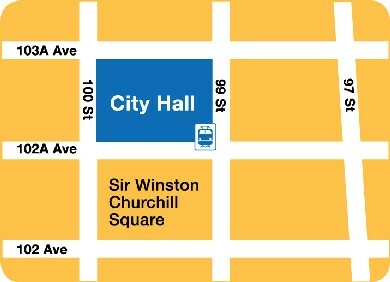 Offering all Edmontonians a central location where they can come to have their questions answered is important to help everyone feel connected to their city, to City programs and services and to each other. Can new arrivals get information any other way? In addition to the information provided through this website, Edmontonians can get information on services by calling the city’s new 7 day a week/24 hour 311 telephone services. The Citizen and New Arrival Information Centre adds to this mix of information services by providing a centralized in-person support. Listen to what benefits the Centre offers! 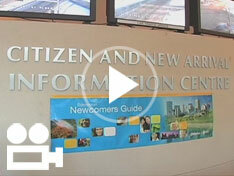 Spread the news about the Citizen and New Arrival Information Centre and help newcomers feel welcome in their new home. Download and share information on the Centre. You can call 311, 24-hours a day, every day of the year for access to City of Edmonton information, programs and services!